My stay in the United States has been full of encounters and discoveries, thanks to my mission with Nowshowcase, the ecochic collective creators from New York. During this show, I have met and worked with Elizabeth Olsen, a committed and brilliant woman, founder of the high end American vegan shoes brand Olsenhaus. She has been a true advocate of animals since she was a kid, she has discovered during her various experiences with many well-known fashion brands how animals are treated in the leather industry. 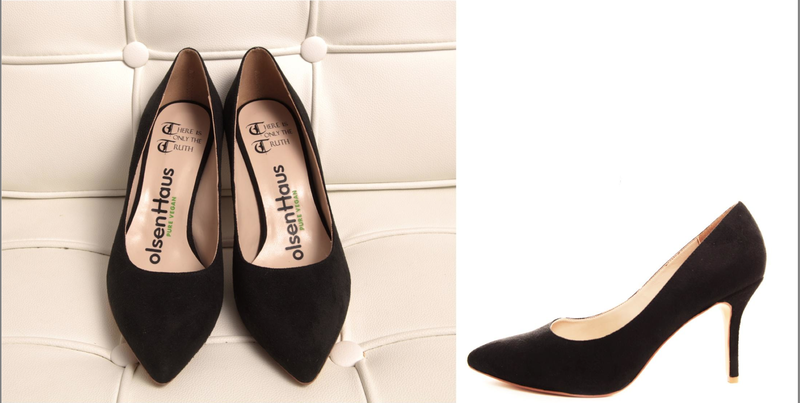 Shocked by her findings, she has decided to launch her 100% vegan brand proving that it is possible to wear stylish and high quality shoes without slaughtering animals! Spokesperson for a more ecofriendly fashion, Elizabeth is part of the people whose passion and determination can change the fashion industry. Her shoes are made for instance out of industrial waste such as recycle TV to provide a material that looks like a real suede. She uses also natural fabrics such as linen cotton, organic cotton. The soles are made from non-toxic rubber. She chooses synthetic and natural materials much less polluting than the leather industry. Elizabeth keeps looking for more flexible, breathable and biodegradable synthetic fabrics. The shoes are mainly manufactured in Central America in factories checked by Elizabeth herself and offering good working conditions for employees and high quality production. I had the opportunity to purchase two pairs of her shoes, including a pair of boots that I have worn for 2 years. Obviously walking on Paris streets everyday, they get worn, but during their lifetime, I found them comfortable to wear, stylish and trendy. In the US, many celebrities have already adopted Olsenhaus : Cameron Diaz, Alicia Silverstone, Colbie Caillat, Anne Hathaway, Emily Deschanel … and many more! 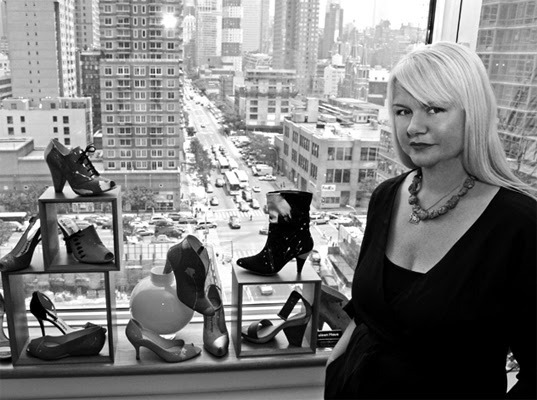 Her brand is sold in 14 countries and famous shops such as Nordstrom, Barneys, Fred Segal, Amazon, Brandosa …. We hope to find them soon in France… In the meantime, we can buy them online !